Hey, everyone! It’s Beej! 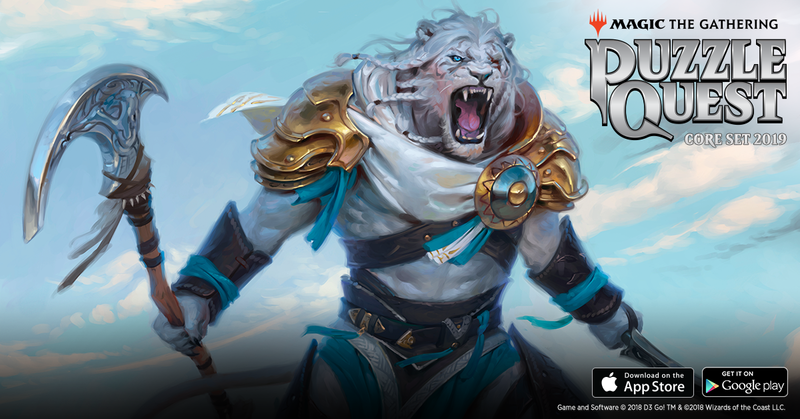 Just a heads-up to let you know that I’ll be coming in partway through the August 2 LRRMTG stream, playing Magic the Gathering: Puzzle Quest (I’ll be on at 4pm). MTGPQ combines the cards and lore of Magic the Gathering with the Match-3 RPG mechanics of Puzzle Quest. If you’re used to only playing the paper game, the mechanics might seem a little odd but I’ll do my best to walk everyone through it. I really like playing it and I’ll hope you’ll like this look at another way to enjoy Magic. Also, D3 Go! is sponsoring that portion of the stream. They’ve given me some bonus game currency so we can open someM19 booster packs on stream (yes, there is deck building!) and to show off different events.